As you may know by now, the official release of Windows 10 Creators Update is scheduled to roll out starting April 11. 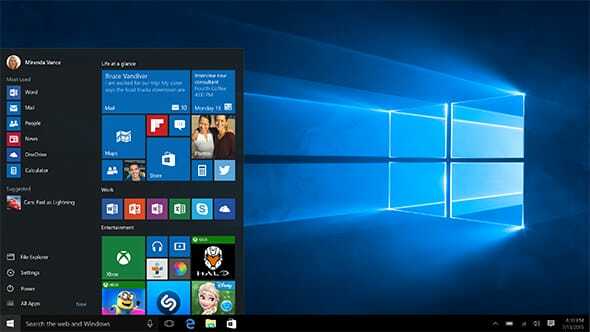 However, Microsoft last week also mentioned that users with a licensed Windows 10 software will be able to manually download the Windows 10 Creators Update from a week before, i.e starting April 5. And the Redmond giant has kept true to its promise. Windows 10 users who don't want to wait another week can manually download the Windows 10 Creators Update right now, according Microsoft's blog post. All you need to do is download the latest update (version 1703) via Update Assistant. The official roll out next week will begin in phases with priority given to newer devices. Microsoft has also opened access for Creators Update SDK for developers. Early release of the SDK is aimed to get developers to build apps that support the new update's features and capabilities. The Redmond giant is also easing up on its aggressive approach and has provided new ways for customers to control when the update will occur. "These include the ability to specify a time that is convenient for you, pause updates for a week, and expand the "active hours" time window during which you don't want to be disturbed by an update. If you're running a Windows 10 PC at work, check with your IT administrator for details regarding your organisation's rollout plans," Microsoft said last week. The Windows 10 Creators Update brings better tab management for its Edge browser by introducing tab previews - a nifty feature that removes the need to go through all tabs to find the one you're looking for. It also introduces the new Night light feature that's similar to F.lux. This means that when it gets dark, the PC's display will gradually shift colours to ease the strain on your eye. The Creators Update will also include a new Game Mode, 3D Paint, mixed reality headsets support, and picture-in-picture mode as well. Copyright © 2016-2017. AndroBliz All Rights Reserved.